Growing up in Boston, I have long been a fan of the Boston marathon, having watched it year after year. These grueling races are challenges for even the most-prepared runner. Even the best, most experienced runners falter and sometimes don’t finish. Challenges occur throughout the entire race, and only those who are attentive to the changing environment around them make it to the finish line. The successful runners are those who come up with a strategy for running the race that changes as they see others fail. So, it should not be a surprise that I look at the three years since the Multiemployer Pension Reform Act of 2014 (MPRA) was signed much the same way I look at marathons: Some who have tried to complete the tricky MPRA route have found that they need to pull up short and exit the race before its end; others are disqualified, even though they thought they’d finished the task; and only a few of those undertaking the race make it all the way to the finish line: approval! In this article, I’ll provide some basic definitions (“Starting Line”), give some historical perspective (“Why Are We Racing?”), provide background about the MPRA rules as they affect multiemployer pension plans (“What’s the Race Map?”), review the successful and unsuccessful applicants (“Where’s the Finish Line?”), and give some insight into when using MPRA’s rules might make sense (“Why Should I Run This Race?”). A multiemployer pension plan (often called a Taft-Hartley pension plan) is a plan that is maintained under one or more “collective bargaining agreements” (CBAs) between one or more employee organizations and more than one employer and which meets all necessary regulations. Employers that contribute to a multiemployer pension plan are known as “contributing employers” to the plan. Typically, a contributing employer submits a negotiated amount of money to the pension fund, following the contribution level(s) that are outlined in a CBA that applies to the area in which the contributing employer is working. The multiemployer plan is “jointly Trusteed” with Trustees that are representatives of the union and Trustees that are representatives of the employers. This type of pension plan is contrasted with single-employer pension plans, which are maintained by a single employer for the benefit of its employees. Also, a multiemployer pension plan should not be confused with multiple-employer pension plans, which are pension plans that are sponsored by multiple unrelated employers, but which is not under a CBA. 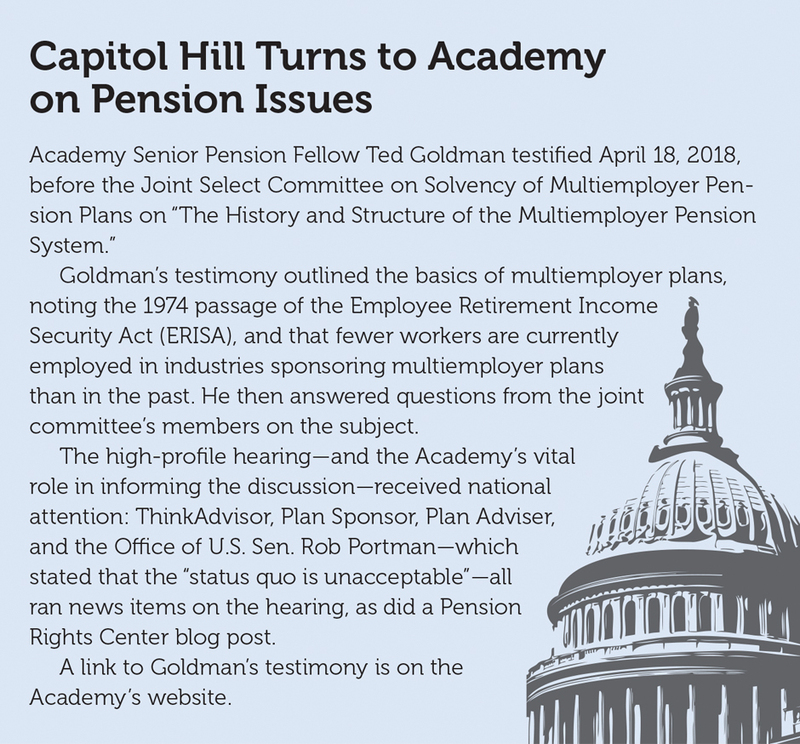 Like other private pension funds, multiemployer funds were affected by the overhaul of the pension system under the Employee Retirement Income Security Act of 1974 (ERISA). As pension actuaries know, ERISA made significant changes in the way pension plans were administered, how their assets were invested, and—most importantly to the actuarial community—how the plans were funded. An actuary who performed actuarial services for a “qualified” (a term introduced by ERISA) pension plan would now need to be “Enrolled.” Upon receiving this credential, the actuary could certify to the funding of the plan on Form 5500 (Schedule B), a form that now contained more detailed information than the prior reporting requirements. There was no significant difference in ERISA between the actuarial requirements for providing services to multiemployer plans or single-employer plans: Actuaries who were “Enrolled” can and do provide actuarial services to both types of plans. Until 1980, if a contributing employer’s obligation to contribute to the plan stopped for any reason (for example, leaving the CBA or closing the business), the employer ordinarily had no further obligation concerning the plan. Because the employer’s obligation was limited to the payment of amounts outlined in the CBA, there was not necessarily a connection between the plan benefits the contributing employer’s employees earned and the financial soundness of the plan. This situation changed with the enactment of the Multiemployer Pension Plan Amendments Act of 1980 (MPPAA). The MPPAA established more rigorous minimum funding requirements for multiemployer plans and added further funding requirements for plans in financial difficulty. The MPPAA also required plan trustees to collect a “withdrawal liability” from employers whose covered operations or obligation to contribute terminated. However, even though funding levels of multiemployer funds were elements of the calculation of “withdrawal liability,” there was no specific set of rules under ERISA or MPPAA that address multiemployer plans whose funding situation (assets compared to liabilities) was worsening. With the passage of the Pension Protection Act of 2006 (PPA06), that situation changed. PPA06 required multiemployer pension plans to have the plan’s “funding status” computed by the plan’s actuary, and defined three broad categories (colors) to indicate the funding condition of a plan. This new measurement was designed to give plan sponsors, plan beneficiaries, the public, and federal agencies: the Pension Benefit Guaranty Corporation (PBGC), the Internal Revenue Service and Department of Labor—a clear measure of a multiemployer plan’s funding situation. It also added a colorful twist to the otherwise yawn-inducing calculations actuaries had been doing. “Green Zone” is the common appellation for those plans whose funding level was above 80 percent, and that met several complex tests, the passing of which indicated a funding situation that was strong. “Endangered” plans (“Yellow Zone”) are those plans whose funding level was below 80 percent, or that failed other funding tests. These plans are considered to be less well-funded than Green Zone plans, but these plans typically can eventually emerge into that status with modest changes to the benefits and/or contributions to the plan. “Seriously Endangered” (“Orange Zone”) plans are a subset of “Endangered” plans but in somewhat worse financial condition. “Critical” plans (“Red Zone”) are those plans whose funding level is low and that fail one or more of the funding tests under PPA06. These plans often require significant changes to benefits and increases to the contributions made by contributing employers. Some of these plans could potentially not improve, and would eventually become insolvent. Were this to happen, benefits for many participants would be reduced under the PBGC’s “maximum benefit” rules. With the rules that PPA06 set out, many multiemployer pension plans were classified as “Endangered” or “Critical,” and participants in those plans received notices that informed them of this situation. Also, a multiemployer pension plan’s status became public information. Trustees of such plans began to develop plans (“Funding Improvement Plans (FIPs)” for “Endangered” and “Seriously Endangered” plans; “Rehabilitation Plans (RPs)” for “Critical” plans) to improve the multiemployer pension plan’s funding situation, with the intent of emerging into “Green Zone” status. One approach that many Trustees of “Endangered” and “Critical” plans have taken has been to reduce the rate at which future benefits are earned under the plan. For example, a plan that might have provided a monthly benefit of $50 per month for each year a plan participant worked might have changed that to $40 for years after 2010. Even with this plan design change, the “accrued benefit” (the amount earned under the plan by a plan participant) was not changed. In the prior example, the benefit earned as of Dec. 31, 2009, under the “$50/month” formula would not be reduced, and the participant would always be entitled to this benefit. Only the future accruals could be modified under PPA06, although for those in Red Zone plans, early retirement and other subsidies could also be reduced with respect to prior accruals. Because benefits generally cannot be reduced after they are earned, underfunding can be made up only with prospective actions affecting active workers: contributions can be increased and/or accruals of future benefits for active employees can be reduced so that future contributions exceed the cost of future benefit accruals. …many multiemployer plans today are “mature” plans with a large number of older participants who have earned substantial benefits under the plan and are now retired or close to retirement, and a much smaller number of younger participants. While the report was clear that it made no recommendations, it contained detailed information about the status of the funding of multiemployer pension plans at the time of the report and highlighted the potential problems many plans would have in meeting promised obligations. Such plans could eventually become insolvent (run out of assets) and be taken over by or require assistance from the PBGC. Nearly two years after the report was issued, on Dec. 16, 2014, legislation titled “The Kline-Miller Multiemployer Pension Reform Act of 2014 (MPRA)” was enacted. Under MPRA, several new categories of “Funding Status” were added to those that PPA06 had created—most notably the “Critical and Declining” status for the plans whose financial condition was not anticipated to improve under the tools that PPA06 gave to multiemployer plans. The determination of a plan’s funded status became more complex with the enactment of MPRA, and the plan’s actuary had both a new level of responsibility and additional calculations to perform. In determining whether a plan is in “Critical and Declining Status,” the plan actuary now needs to determine whether it is reasonable to assume that each contributing employer that is complying with the multiemployer pension plan’s Rehabilitation Plan will continue to comply with Rehabilitation Plan for the balance of the Rehabilitation Period. This approach is different from the rules the actuary follows for other Funding Zones: Under all but the “Critical and Declining” zone, the actuary can only include contribution increases that have already been agreed to in bargaining. Also, in making the determination of a multiemployer plan’s funded status, the plan actuary is required to take into account any benefit suspensions adopted in prior plan years that are still in effect. “Benefit suspensions” are a new tool for improvement that these plans have to use—an algorithm that allows for a temporary or permanent reduction of pension benefits, even to certain participants who were receiving benefits. For the first time since the passage of ERISA (which prohibited reductions in accrued benefits), plan participants could lose benefits they had earned under the plan. In addition to this new Funding Zone, MPRA also established guidelines for seeking a “partition” from the PBGC. Under a partition, the multiemployer pension plan is split (or partitioned) into two plans: the “original” plan and a “successor” plan, the latter of which receives financial assistance from the PBGC. The successor plan design provides a benefit up to the PBGC guaranteed level, using PBGC’s multiemployer assistance program funds. All other benefits that remain after maximum suspensions are applied are still part of the original plan, with the expectation that the original plan will become financially strong enough to remain financially solvent and continue indefinitely. Before MPRA, the PBGC only granted a partition in very limited circumstances surrounding a contributing employer’s bankruptcy. Under MPRA’s partition approach, a participant will likely receive benefits under the fund in two pieces: one from the original plan and one from the successor plan. The Trustees of the original plan would administer each plan. For any reductions or partitioning to take place, MPRA set forth a series of rigorous steps, each of which requires significant analysis and reporting. At the time of this writing, nearly 20 funds have submitted applications to the Department of the Treasury for benefit suspension. The plan Trustees must submit an application to the Treasury Department showing that proposed pension benefit reductions are necessary to keep the plan from running out of money. Participants and beneficiaries will be notified of any application to reduce benefits, will be provided with an estimate of the reduction in their own benefits, and will have the opportunity to comment on the application. The IRS published rules for applying for benefit suspensions in Revenue Procedure 2015‑34 and made minor modifications to those rules in Revenue Procedure 2016-27. It then expanded the rules for Revenue Procedure 2017-43. The basic MPRA rules still apply, but these revenue procedures adjusted the prior rules. The application for approval of a proposed benefit suspension must be submitted by the plan sponsor or by an authorized representative of the plan sponsor. The application must be signed and dated by an authorized trustee who is a current member of the board of trustees or by an authorized representative of the plan sponsor. A description of the differences in treatment. A detailed description of measures taken to avoid insolvency over the past 10 plan years immediately preceding the plan year in which the application is submitted. Certifications relating to plan amendments. The revenue procedure spells out the identification and background information an application must include. Moreover, it says that the application may include other information about the plan, such as a narrative statement of the reasons the plan is in Critical and Declining status. Revenue Procedure 2017-43 superseded Revenue Procedure 2016-27, but it generally includes the application procedures, making a few tweaks and enhancements to the prior revenue procedure. Revenue Procedure 2017-43 applies to applications submitted on or after Sept. 1, 2017. Including the accountant’s report (as filed with the Form 5500). The practical impact of these revenue procedures is to add an additional level of computation to the previously released rules about benefit suspension. Fortunately, most software packages in use by actuaries who work with multiemployer plans can perform deterministic projections. The results produced by such software are a vital part of the application process. After MPRA’s rules came into effect, many plans that found themselves in “Critical and Declining” status applied for relief. As a resource to all interested parties, the Treasury Department set up a website that tracks the progress of an application under MPRA. Through the early part of 2016, several applications had been submitted, but none had been either approved or rejected by Treasury as the benefits community anxiously awaited decisions. Finally, on May 6, 2016, Treasury ruled on an application made by the Central States, Southeast, and Southwest Areas Pension Fund (commonly referred to as the “Central States” plan). Central States’ application for benefit suspension under MPRA was denied. In a letter sent to Central States’ Board of Trustees, Treasury stated that the request submitted by Central States on Sept. 25, 2015, was denied, “because the suspension fails to satisfy the statutory criteria for approval of benefit suspensions.” Many of the reasons given for the denial are specific to Central States and its application, and will not be discussed here. However, the letter from Treasury to the Board of Trustees of Central States is available on Treasury’s website. As a result of the denial, proposed benefit reductions under the Central States plan did not occur and the fund continues to be in “Critical and Declining” status. Central States decided against resubmitting its application. However, other funds have continued to apply for benefit suspension, with an eye on the finish line of being granted permission by Treasury. On Dec. 16, 2016, Treasury approved the MPRA application of the Iron Workers Local 17 Pension Fund, which became the first multiemployer pension plan allowed to reduce benefits payable to retired members. The approval was contingent on approval by fund participants. On Jan. 20, 2017, eligible participants and beneficiaries in the fund voted to approve benefit reductions under MPRA, thus becoming the first plan under which benefit suspensions would occur. One week later (Jan. 27, 2017), Kenneth Feinberg, “special master for implementation of MPRA,” provided the fund’s Trustees the results of the vote and certified the result. The letter noted that there were 1,938 eligible voters, 320 of whom voted against the benefit reductions (616 voted for the benefit reductions, and the remaining 1,002 did not vote). This meant that a majority of participants and beneficiaries did not reject the suspension, which then allowed for the benefit suspension to occur. The specific impact of benefit suspensions on participants in the Iron Workers Local 17 Pension Fund depends on each individual’s age and other factors (including whether a participant retired on a disability pension, when the participant became covered by the fund, and other factors). The fund estimates that the average monthly benefits will be reduced by less than 20 percent. As of the date of this writing (April 2018), nearly 20 funds have submitted applications for suspension of benefits under MPRA, some of which have submitted an application more than once (after previously withdrawing an application or having been denied approval). As noted earlier in this article, the Treasury Department keeps a running log of all applications, each of which has a link to the submitted information and the Treasury’s response (if any). 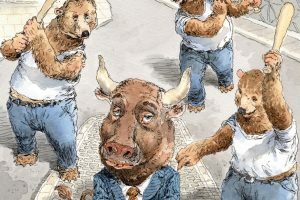 As a fund evaluates whether it is in the best financial interest of the fund and its participants to get into this “race” for solvency, it should be clear that the route is a difficult one, lined with many problems. 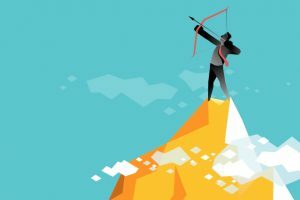 But some funds have successfully navigated the twists and turns and are now thinking about the steps that can be taken to continue on the road to financial health. A New Route for the Future? A newly formed “Joint Select Committee on Solvency of Multiemployer Pension Plans” (created by the budget reconciliation bill signed earlier in 2018) has recently begun its deliberations. This Select Committee, comprising members of both the Senate and House of Representatives from both parties in equal numbers, is charged with improving the solvency of multiemployer pension plans and the PBGC. Its charge is to vote on both “a report that contains a detailed statement of the findings, conclusions, and recommendations of the joint committee” and proposed legislative language to carry out its recommendations. The Select Committee was created with the intention of producing this material not later than Nov. 30, 2018. So, the “race course” for future years could take on some new hazards, but it may also offer advantages that the current legislation does not anticipate. HAL TEPFER, MAAA, FSA, EA, is a faculty member in Boston University’s Actuarial Science department and a senior vice president in CBIZ Retirement Plan Services’ Boston office. This article will not address “public” pension funds, those pensions that are provided by sponsors not covered by ERISA, such as municipalities and other governments. 29 U.S. Code § 1381. 29 U.S. Code § 1322a. Pension Benefit Guaranty Corporation; Multiemployer Pension Plans—Report to Congress Required by the Pension Protection Act of 2006; Jan. 22, 2013. 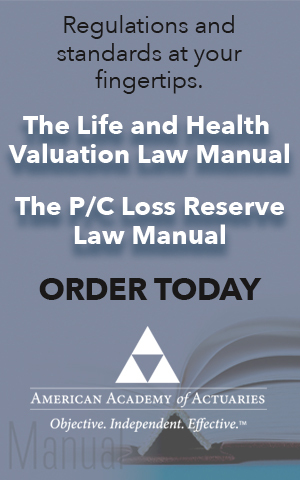 PPA06 contains an “all reasonable measures” exception element that states that a Rehabilitation Plan can exit Critical Status at a date later than the end of the Rehabilitation Period or simply to forestall insolvency. If a plan is following this potential branch of the map, compliance would continue past the end of the Rehabilitation Period. U.S. Department of the Treasury website; “Application for Benefit Suspension”; last updated April 26, 2018. The ratio of the plan’s available resources (as defined in IRC §418E(b)(3), a discussion of which is beyond the scope of this article) to the scheduled benefit payments under the plan for the plan year. U.S. Department of the Treasury; op. cit. U.S. Department of the Treasury; letter to Board of Trustees, Central States, Southeast and Southwest Areas Pension Plan; May 6, 2016. U.S. Department of the Treasury; letter to Board of Trustees, Iron Workers Local 17 Pension Fund; Jan. 27, 2017. Section 30422 of H.R. 1892. 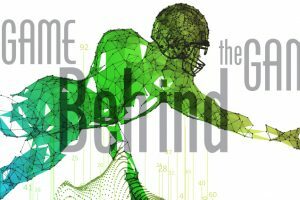 The Game Behind the Game: Data analytics, the NBA, MLB, and NFL—is football behind the times?